March | 2010 | Renowrites blog! 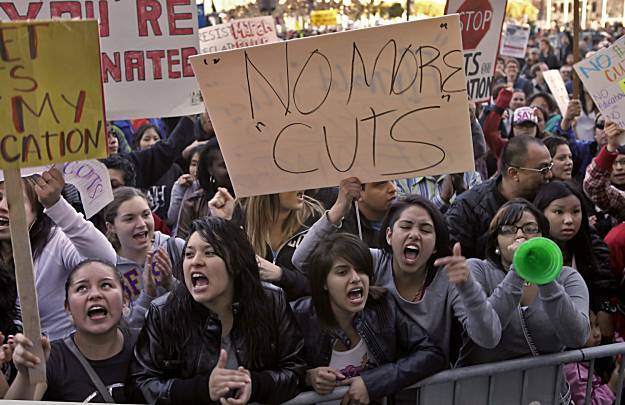 Driving into work today, I saw one person on an overpass holding a sign that read “Education Is A Right.” Going to lunch, I ran into a number of college aged students walking back from a downtown Oakland rally protesting university budget cuts. Then later in the day, protestors stopped traffic on I-880 Freeway during the evening commute. Now sitting here late at night, I think of my college days at the University of Michigan when I decided to become an English and Communications major. Little did I know that decision started my path towards honing my writing skills, which ultimately has led me to the brink of releasing my debut novel. Without my university enlightenment, who knows where I would be? I certainly wouldn’t be working at my job (as I pursue an unpredictable writing career). All of the jobs I’ve had started at one place – the interview. And I wouldn’t have received the interview without my B.A. I wouldn’t have even received a “chance” to interview. And I think that’s all anyone asks for. I think about this everyday, especially as my kids grow older. The 529 plans I’ve established don’t seem to grow fast enough, and certainly don’t keep up with the cost of tuition at a 4 year college. And the education budget cuts just sap resources away from our schools. I hope today’s events wake up State legislators and university administrators. Education is truly a right, and that right slowly gets eroded when the cost of education exceeds the affordability for a typical American family.